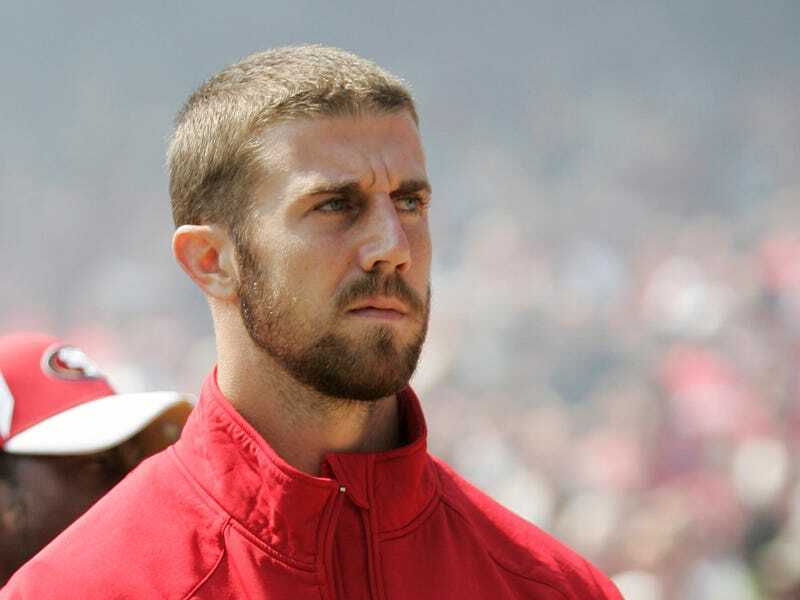 The San Francisco 49ers back-up QB Alex Smith will be traded to the Kansas City Chiefs, Fox’s Jay Glazer reportsThe 49ers will get back a second-round pick this year and a similar pick in 2014, according to Tim Kawakami of the San Jose Mercury News. The deal can’t be completed until March 12 when free agency officially opens. There’s still tons of room for this to fall apart, and we’ve seen a few offseason NFL reports turn out to be wrong (see: Chip Kelly to the Browns), but Glazer is usually solid. It’s a sudden downfall for Smith. He was having one of the best season of his career before he got a concussion against the Rams midway through the year. Colin Kaepernick took his job, led the 49ers to the Super Bowl, and ultimately made Smith expendable. Hopefully Smith can pick up where he left off in KC. The haul that San Francisco got (if it turns out to be two second-rounders) is pretty spectacular. That second-round pick is 34th overall this year, so San Fran will be one of only two teams (St. Louis is the other one) that have two picks in the top 34.